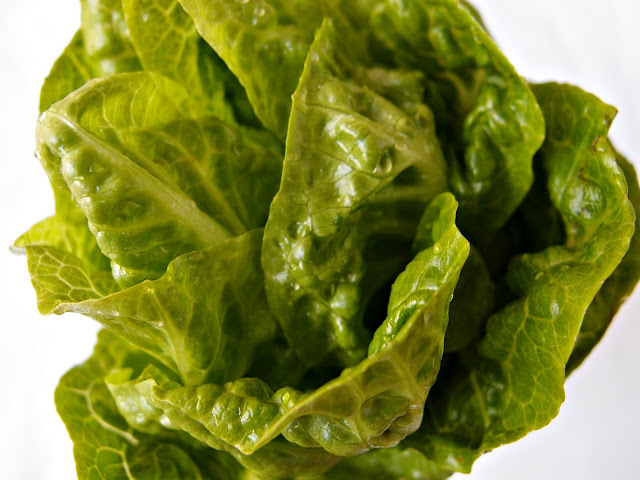 Please make this salad. It's simple, but the flavour combo is unbeatable. Clint and I have only come to "appreciate" blue cheese over the last 10 years - now we love it. Joey, our 9 year old son, can't get enough of it, but Linus, our 11 year old, is still not there yet. He has a long road of cheese to travel before he is ready to embrace the flavour sensation that is blue. 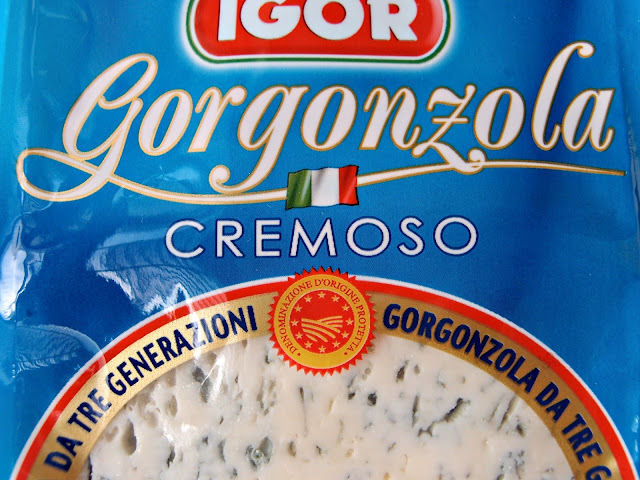 I used Gorgonzola, but your favourite blue cheese will be great here. If you don't want to use blue cheese, then use a strong cheddar. But make it, you'll love it. Why? - Cos I said so. Preheat the oven to 180˚C. 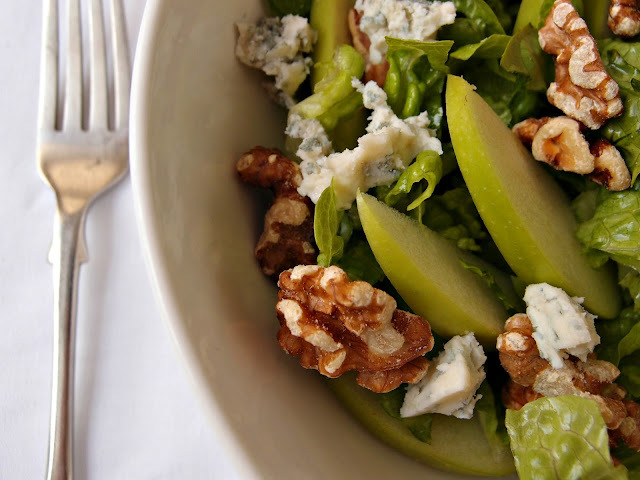 Place the walnuts in an oven dish and roast them for 10 minutes until toasted but not blackened. 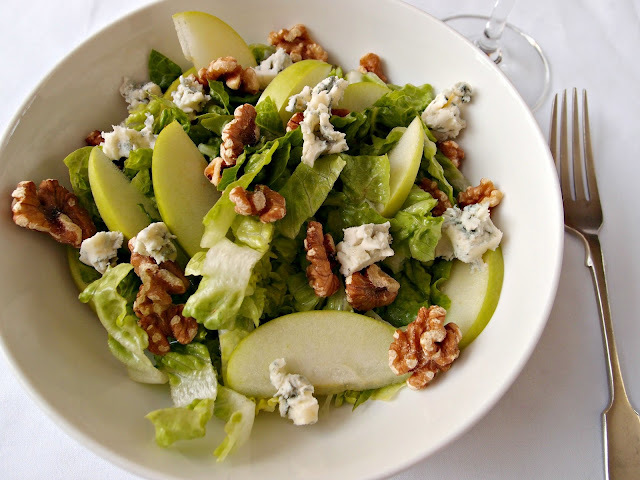 Put the salad greens in a large serving bowl and sprinkle with the toasted walnuts, sliced apple and the blue cheese. 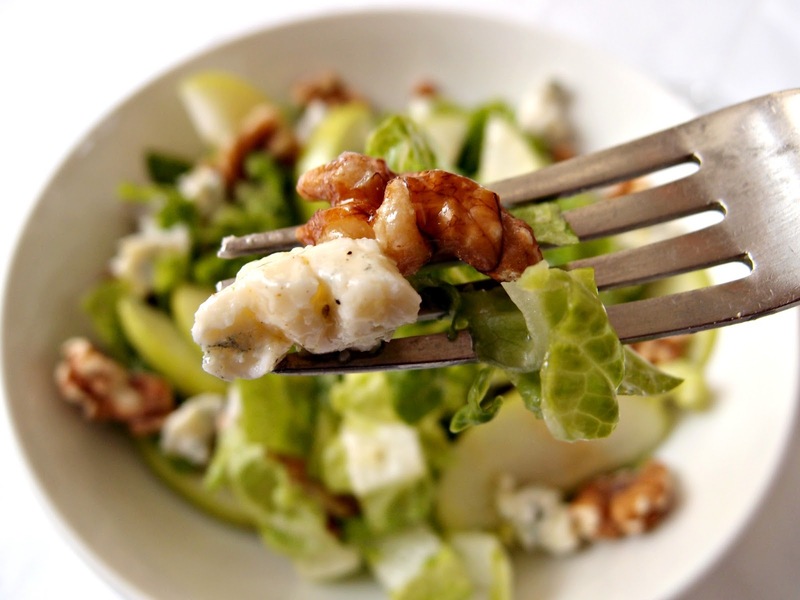 Just before serving, drizzle with Dijon Mustard Vinaigrette and toss to combine. 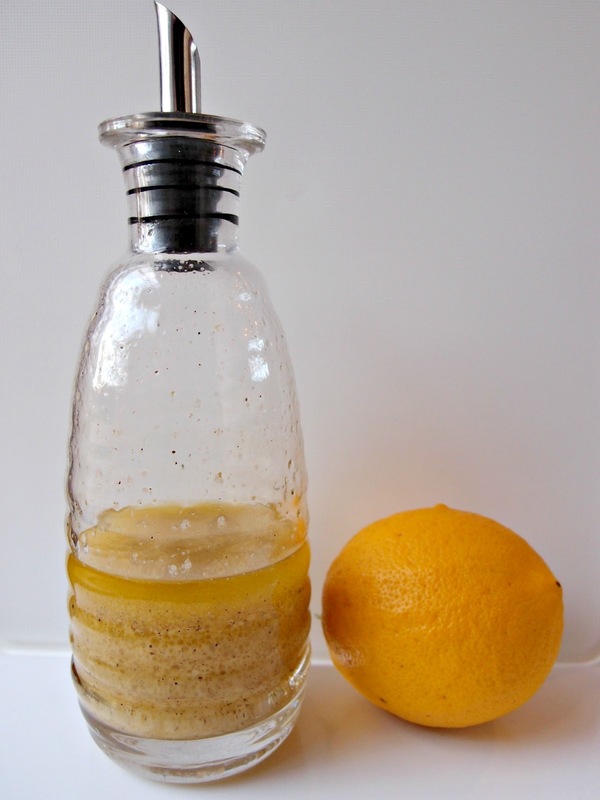 Shake all ingredients together in a jar. Dressing will keep in the fridge for a week.